Our final stop on our little Europe trip was Vienna. And for me, it began with an allergic reaction on the train. We had bought some marzipan in Budapest, and my pistachio-flavored deliciousness must have come in contact with some peanuts along the way. Since I was stuck on a train, I quickly popped a Benadryl and hoped it would tide me over until we got to our apartment. Thankfully, it did. And thankfully the reaction was mild enough that I was able to get out and begin exploring without too much delay. I’ve said before that German food has healing powers, and I’m pretty sure Austrian food has the same magical qualities. After a brat and some raclette cheesy bread at one of the Christmas markets I was feeling much better, but since I was still suffering from Benadryl side effects we decided to call it a night fairly early. Besides, we had important cafe exploring to do in the morning. Probably one of the most famous cafes in the world is Vienna’s Cafe Central. 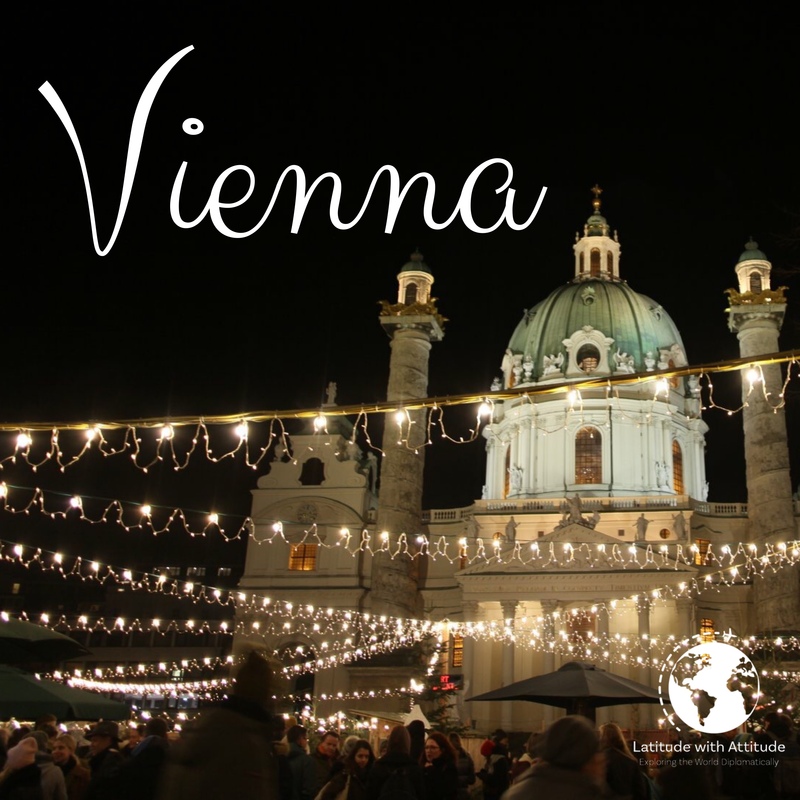 It opened in 1876 and became a key meeting place for Viennese intellectuals. Regulars included Theodor Herzl, Alfred Adler, Egon Friedell, Hugo von Hofmannsthal, Sigmund Freud, Joseph Stalin, Adolf Hitler, and Leon Trotsky. The interior of the cafe has been renovated several times but maintains the same atmosphere it did in the 1900s. We knew it would be busy, so we got there early to avoid a line. 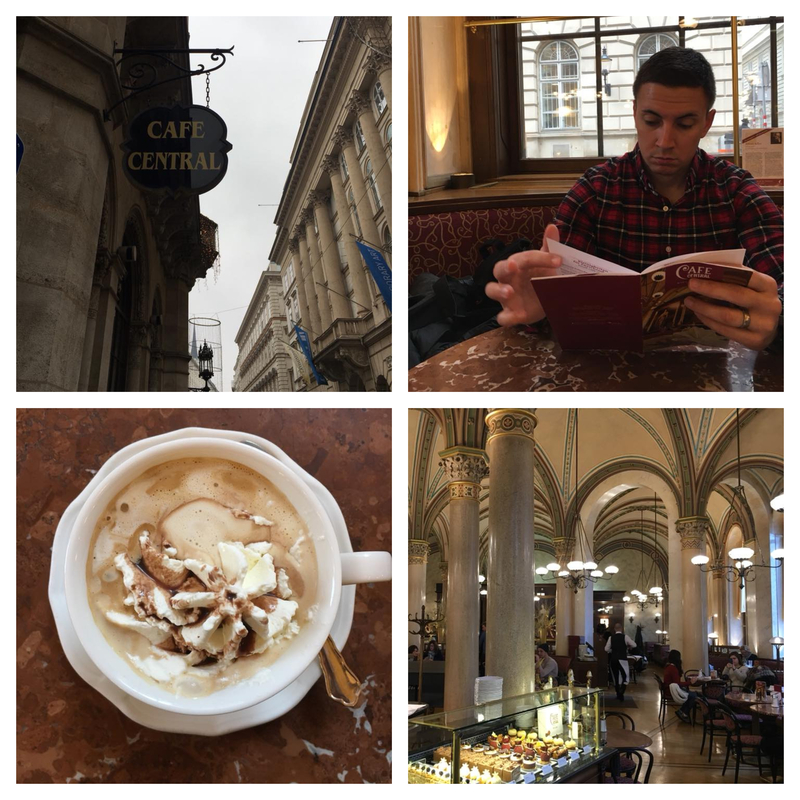 We enjoyed a leisurely and delicious breakfast, topped off by my spiked latte and Sean’s traditional Viennese coffee. It was an excellent start to our Vienna experience. We spent the rest of the day exploring the city. Since it was a tiny bit rainy, we chose to see more indoor attractions including the Imperial Treasury and Kunsthistorisches Art Museum (don’t ask me to pronounce that). I don’t know if its a sign of my increasing age, or if these were just particularly interesting museums, but I actually really enjoyed myself. The Kunsthistorisches Museum had a special exhibit of Pieter Bruegel’s masterworks and we paid the extra five euro to enter. Bruegel was the most significant artist of Dutch and Flemish Renaissance and is known for his landscapes and peasant scenes. Sean and I both like his work, but the exhibit was so crowded it reminded me of trying to see the Mona Lisa at the Louvre. Too many people, not enough art. 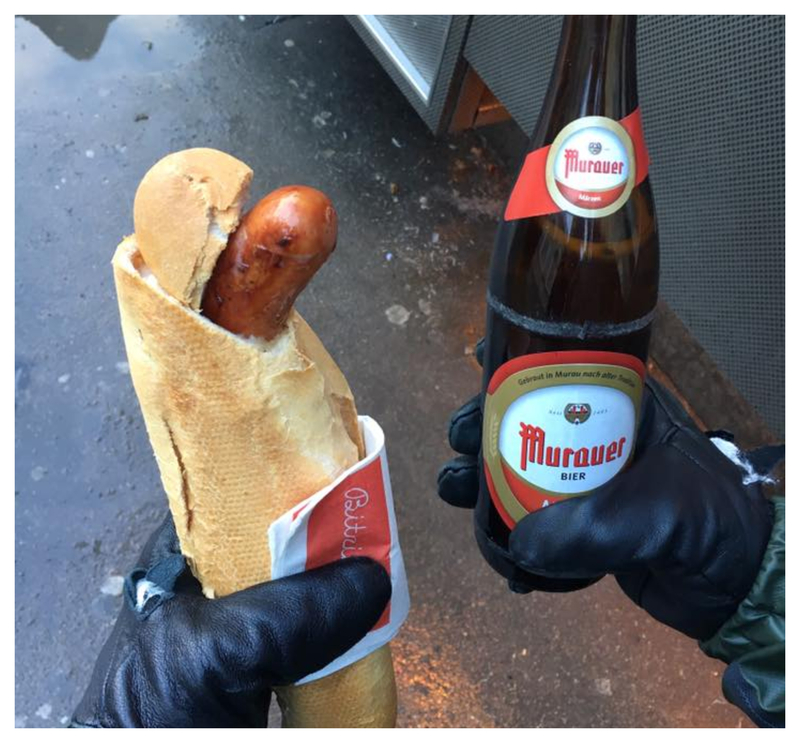 After the museums, we decided to sample some more local cuisine at the Christmas markets around town. Now. Vienna. I love you. But I’d like to know what you think you’re doing putting peanuts in pesto. Who exactly gave you the authority to commit such an atrocity? I’d like to speak to them. The German word for peanut is erdnuss, by the way. Something I learned too late to save myself. Since I had consumed such a small amount of dreaded erdnuss, I tried my best to tough it out. We made our way to Bitzinger Würstelstand, a tiny brat stand in the middle of the city. These were fabled to be the best brats in Vienna and I do believe the legends are true. They were delicious. Sean and I probably encountered more Americans at this little stand than the rest of the trip combined, and we were astonished at the number of people THROWING AWAY their unfinished sausages. Save it for later at the very least, guys, come on. Unfortunately, delicious as the brats were, they weren’t enough to fully satiate my peanut reaction. I think mostly due to it being the second reaction in less than 24 hours. We frantically rushed back to the hotel so I could…um…recover. Once I was feeling slightly normal – albeit in a Benadryl fog again – we set out for more Christmas market exploring. I absolutely refuse to let this allergy beat me. The markets in Vienna are amazing, of course, but feel a lot more commercialized than I was hoping they would be. Mass-produced trinkets dominate the vendors, and after the unique flair of Budapest, we were a bit disappointed. Thankfully the food was local and delicious, and this time I made sure to steer clear of anything that even might contain peanuts. After such a volatile stomach situation earlier in the day, you would think I wouldn’t be up for dessert, but in Vienna, you’d be wrong. 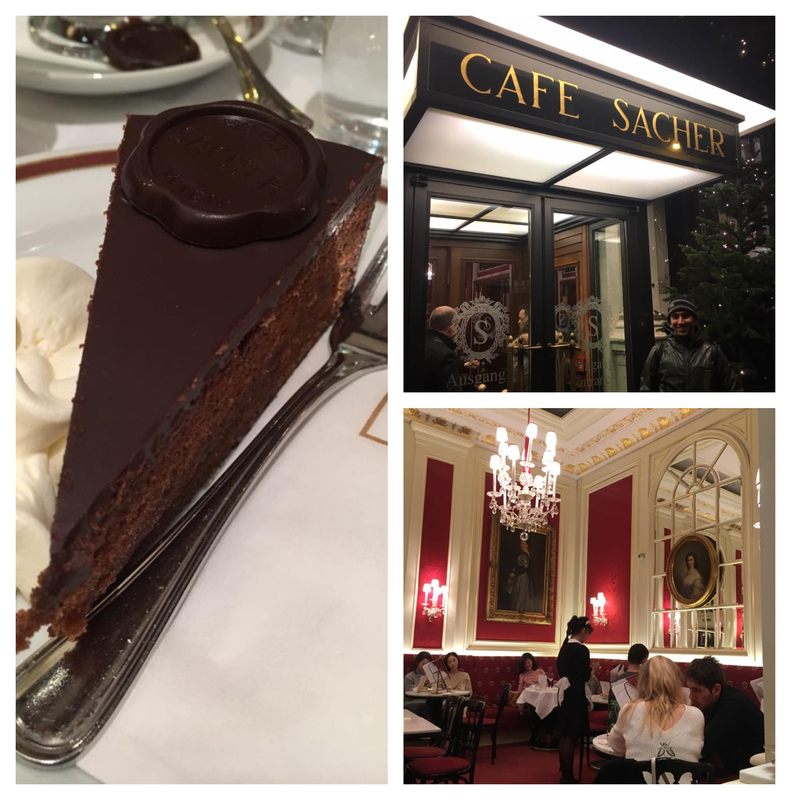 I was not about to miss the chance to try the most famous chocolate cake in the world, the Original Sacher-Torte. Its creation was the perfect happy accident. Franz Sacher, the torte’s creator, was the second in command in the royal kitchen the night of an important dinner party for Prince Wenzel von Metternich in 1832. The head chef had fallen ill, leaving Sacher in charge. He created a dense chocolate cake with a thin layer of apricot jam, dark chocolate icing, and unsweetened whipped cream for a topping. Guests were reportedly delighted by his creation, but it wasn’t until several years later that the torte gained fame and popularity. Today, the Original Sacher-Torte Hotel and Restaurant closely guard the recipe and serve it up daily for guests. After such a taxing day, it was exactly what I needed. 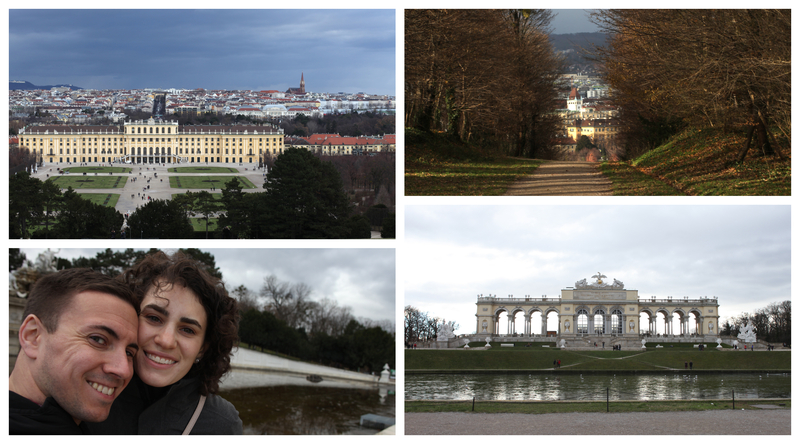 The next morning we set out for Schonbrunn Palace, the main summer residence of the Habsburg rulers. This 1,441-room Baroque palace is one of the most important architectural, cultural, and historical monuments in Austria. Exploring the palace is definitely a full-day affair. We opted for the extended guided audio tour, and it was absolutely excellent. We also managed to hike up the hill to enjoy the spectacular view just before the rain came. 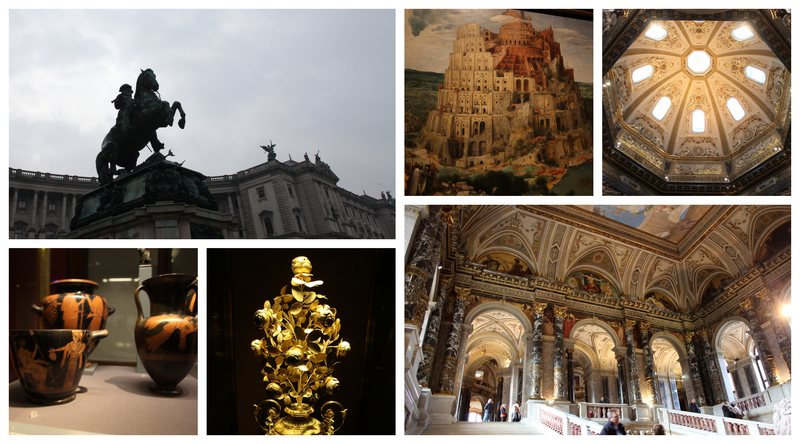 An absolute must-see in Vienna. For our last morning, we tried to squeeze in as much Vienna as we could before our flight left for Tbilisi. We had unintentionally put off seeing Stephansdom, St. Stephen’s Cathedral, until the last second, but it worked out in our favor. As luck would have it, it was the clearest day we had in Vienna, so it made for stunning panoramic views of the city from both the north and south towers. 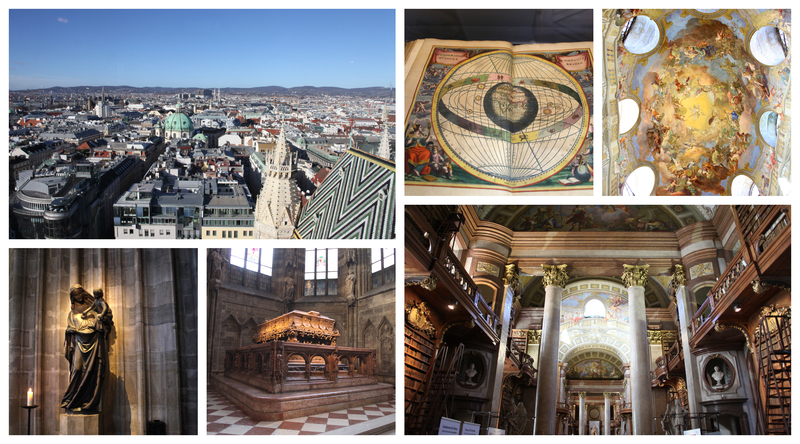 We also took a guided audio tour of the cathedral itself, as well as visited the catacombs. 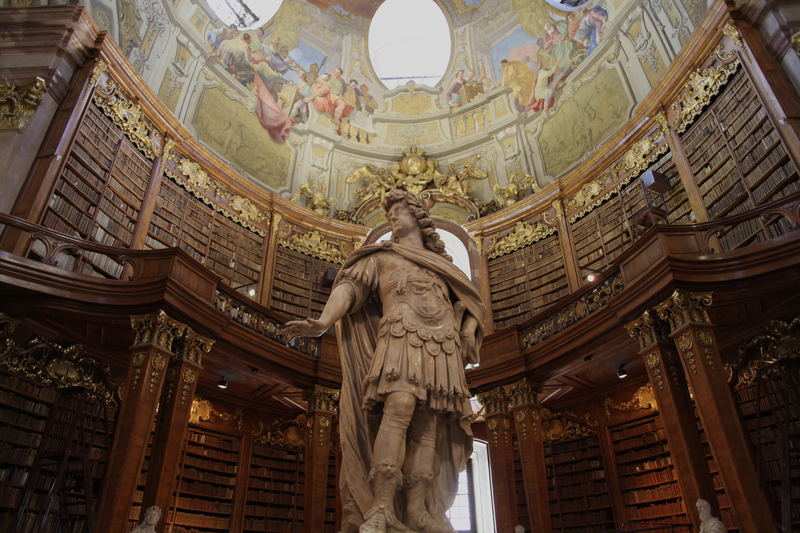 Our final sightseeing venture was the famous Austrian National Library (Österreichische Nationalbibliothek), the largest library in the country. Its claim to fame is more than being home to 12 million items in various collections, it’s also an absolutely breathtaking building. Belle herself would be extremely jealous. We, unfortunately, didn’t have a ton of time to spend here, so I definitely wouldn’t mind returning for a more in-depth visit. I said before, Vienna you are art and food and history and magic. I hope we meet again sometime soon. I think I need to get to Vienna. . . and Budapest. . . Thanks for taking us with you via this blog.